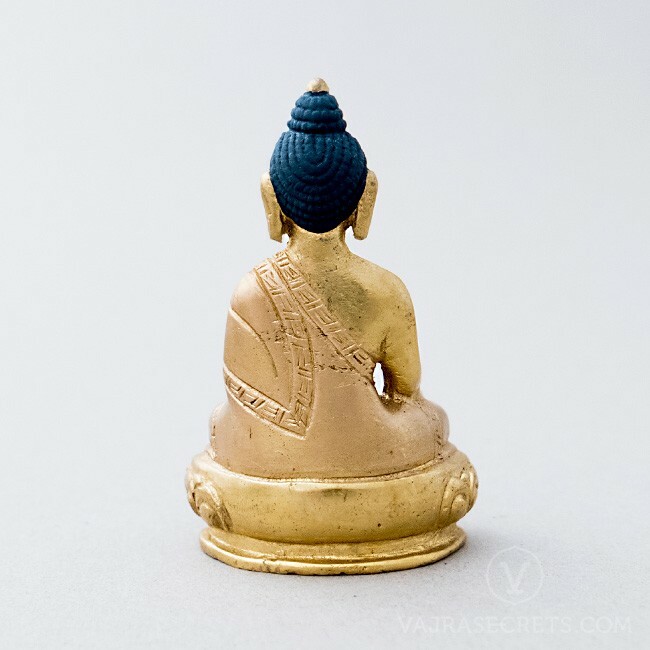 A miniature brass statue of The Awakened One, Buddha Shakyamuni, who taught 84,000 methods to Enlightenment to suit all possible dispositions and levels of spiritual seekers. 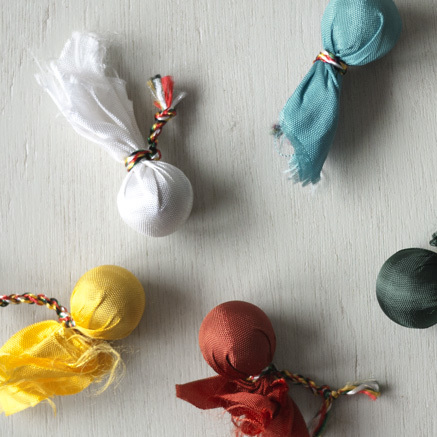 Completed with hand-painted features, this is a perfect addition to a small shrine at home or in the workplace, or as part of a portable travel altar. 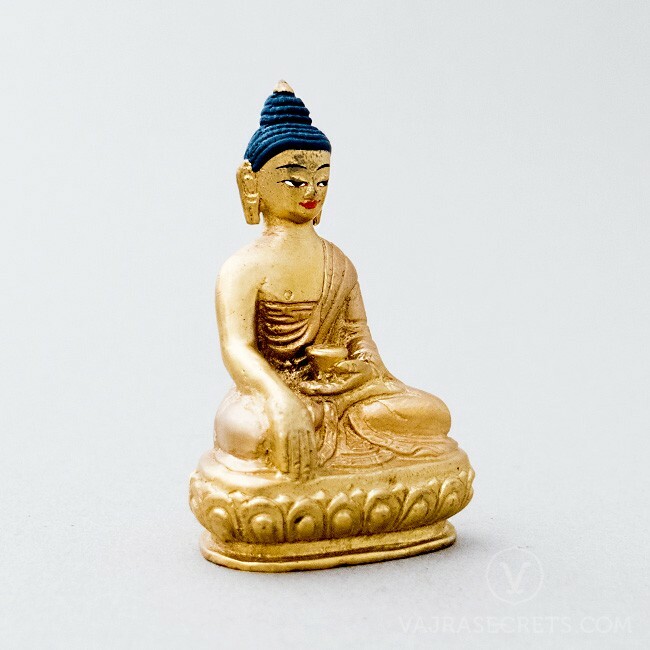 A 3-inch miniature brass statue of The Awakened One, Buddha Shakyamuni, hand-painted by master craftsmen with full iconographic detail according to traditional scriptural sources. 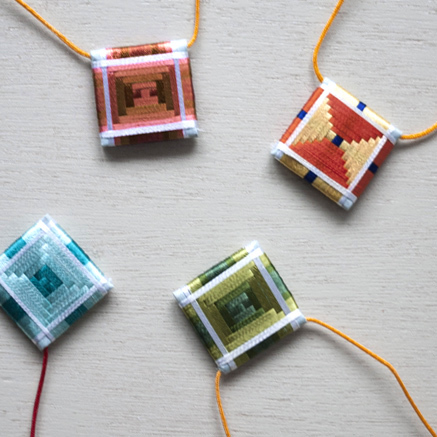 A perfect addition to a small shrine at home or in the workplace, or as part of a portable travel altar. 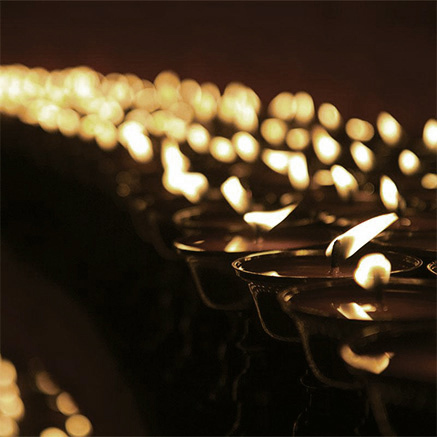 Shakyamuni is the Prince who gave up the comforts of royal life to seek the truth, and ultimately achieved full Enlightenment and founded Buddhism. By employing diverse skilful means, he taught 84,000 methods to Enlightenment to suit all possible dispositions and spiritual levels of his students. Spiritual practice as he taught it was not mere words but a living example to inspire his disciples then and even now. He sits cross-legged in full meditation, with his right hand lightly touching the ground beneath him, symbolic of his invoking the earth to bear witness to the truth and virtue of his actions and words. His left hand cradles a begging bowl in a meditative pose. 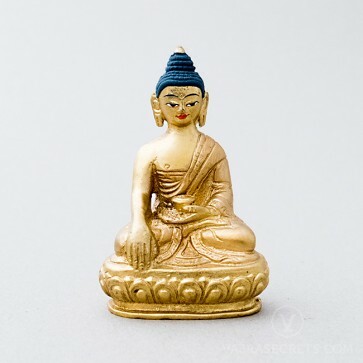 His image brings blessings to all who see it and plants the seeds of Buddhism in their minds. 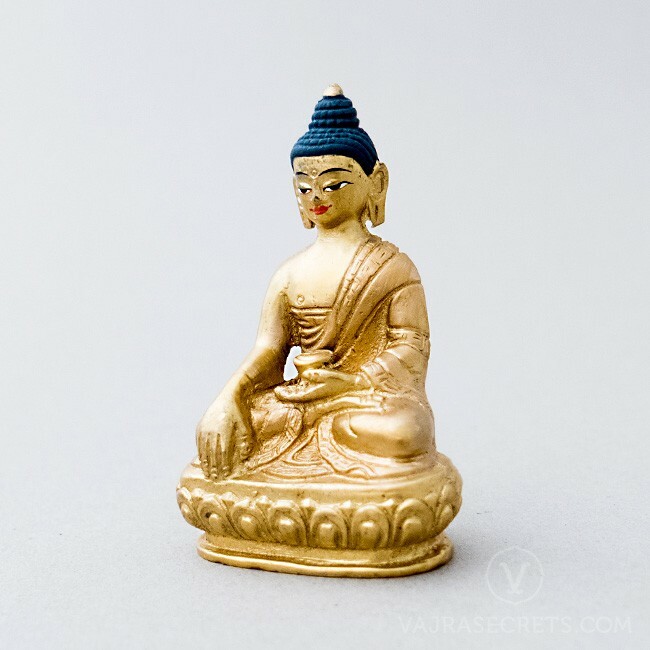 This Shakyamuni statue can be personalised with the insertion of mantras and holy items. One can also offer traditional brocade clothing, pearls and semi-precious stones, as H.E. the 25th Tsem Rinpoche always encourages the practice of making offerings to the Three Jewels, which creates the causes for us to attain the six paramitas (perfections).